Three plant expansions since 2005, the latest a 53,000-sq.-ft. addition built in 2012, speaks volumes to the success Jay Manufacturing has had—and expects to continue having—in growing with its customers. 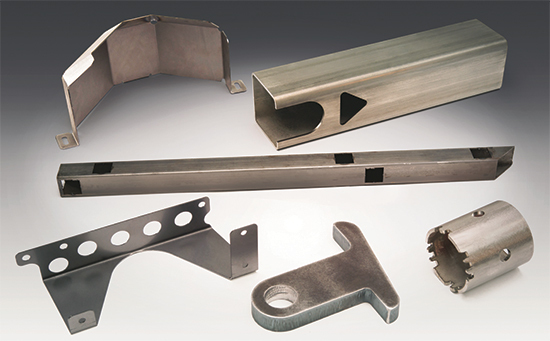 Jay Manufacturing fabricates and assembles a variety of sheet, plate and structural parts from carbon and stainless steels and aluminum alloys, for the ag, defense, heavy trucking, material-handling and mining industries, among others. A third-generation family-owned metal fabricator with approximately 120,000 sq. ft. of manufacturing floor space in Oshkosh, WI, Jay Mfg. focuses much of its work in the agricultural, defense, heavy trucking, material-handling and mining industries. Of its 100 employees, 20 are AWS-certified welders. This substantial welding capacity, along with four Panasonic robotic arc-welding cells, illustrates a strategic move begun several years ago, and which has become a primary catalyst for growth. 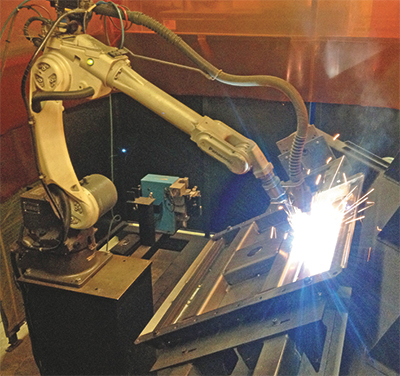 Weldments can be huge—the robotic cells can process 8-ft. weldments and are equipped with Bluco modular fixturing tables. Manual weld booths also feature these same fixture tables, which can be extended to 40 ft. when needed. Jay employs three certified-welding inspectors and houses a state-of-the-art weld-testing lab. With so much inhouse welding capacity, feeding its hungry and productive welding operations has led Jay to invest in new upstream fabricating equipment. “We purchased our first laser-cutting machine (a 4-kW Amada Gemini 3015) in 2005,” says Jameson, noting that before that time the shop focused on turret-punch operations. A second 4-kW Gemini 3015 landed in 2007, and in 2009 Jay became the first fabricator in Wisconsin to install an Amada LC4020 6000-W laser-cutting machine, with an 80- by 160-in. table and automatic nozzle changer. It’s capable of cutting material to 1.25-in. thick, and has proved to be the perfect partner to feed heavier-gauge parts to Jay’s welding operations. Jay’s robotic arc-welding cells have become a primary catalyst for growth. Weldments can be huge, and with so much inhouse welding capacity Jay has invested in new upstream fabricating equipment to keep the work flowing. About two-thirds of the firm’s work comprises 20 gauge to 1.25-in. carbon steel, the rest stainless steel and aluminum. While the firm made its mark fabricating primarily sheet and plate, as its welding department has grown so has its need to fabricate large structural sections. With a substantial amount of its work now comprising structurals—round and square tubing and extrusions to 6-in. dia., with wall thickness to 3⁄8 in.—in addition to plate and sheet to 1.25 in. thick, Jay found itself relying on outside suppliers for 3D cutting. 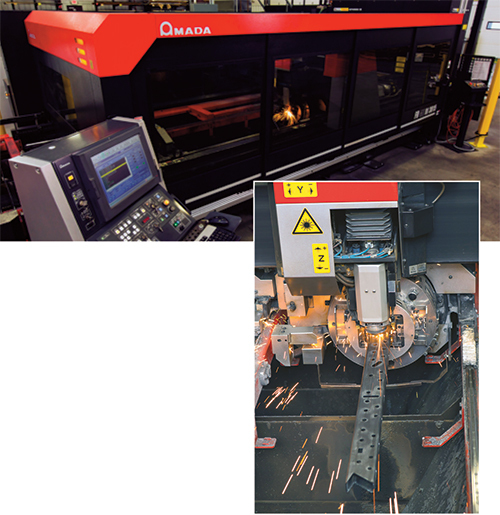 In 2012, Jay purchased this Amada FOM2RI 3015 laser-cutting machine with rotary index station. It can process round tubing 0.75- to 8.66-in. dia. and square tube to 6 in. Maximum tube length: 236.2 in., and 19.6 ft. with one reposition. Fabricating the structural sections also often required sawing and hole drilling, in addition to machining. While Jameson credits the firm’s employees with engineering a solution to keep some of this work inhouse, by developing a fixture enabling tube cutting on its flat-bed three-axis cutting machines, the firm went searching for a better option. In 2012, the search led to investing in an Amada FOM2RI 3015 cutting machine. Its high-speed cutting head features cut-process monitoring (CPM), auto-focus control, a spatter-free pierce function and water-assisted cutting for quick work on plate. And, the head is able to be positioned close to the chuck of the machine’s rotary index. It can process round tubing 0.75- to 8.66-in. dia. and square tube to 6 in. Maximum tube length: 236.2 in., and 19.6 ft. with one reposition. “With the new laser, we’ve been very successful at returning outsourced work to our shop,” says Robinson. “And, we’re using one machine now to cut holes, cutouts and bend lines in the work. This has freed up other machines, eliminated setups and allowed us to nest several parts in one piece of material to minimize scrap. While the new cutting machine’s bread and butter certainly is taking on structural work, some 20 percent of its time goes toward flat-stock cutting, serving as added capacity for Jay’s trio of flat-bed machines. But while Jameson doesn’t fret changing the machine over from 3D to 2D cutting, noting a mere 2 min. changeover time, he expects to soon be running 90 to 95 percent structural work on the machine. Purchasing another flat-bed machine, to enable continued growth, appears on the horizon. Part of Jay’s successful transition from turret shop to laser-cutting specialist rides on the level of expertise it has gained as its employees have climbed the learning curve. Chief amongst this expertise: knowing just the right laser-assist gas to use, based on the application.